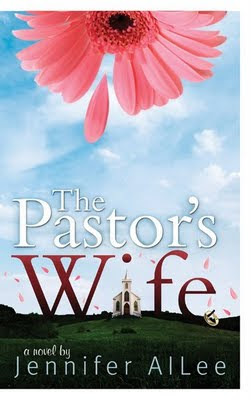 The Pastor's Wife by Our Very Own Jennifer AlLee!!! Somehow, I had the profound honor of being chosen to wrap-up our “Week of Jen” by officially reviewing her new release, The Pastor’s Wife. I was so excited when I received my advanced copy in the mail. It’s always fun to check-out books by my author friends, and as it turned out, this was my very first Inky novel. The cover caught my interest right away. It was beautiful and engaging, and I couldn’t wait to start reading. Once I delved inside, the book did not disappoint. This delightful warm-hearted contemporary romance was a joy to read and an encouragement to my spirit. While a traditional romance in structure, this book breaks out of the mold by introducing us to a hero and heroine who are married, but have been separated for many years, allowing Jen to take a hard look at the nature of love and romance from a Godly perspective. The book was not all about tingles and emotions, although the attraction was apparent. Instead, the primary plot was about forgiveness, healing, and reconciliation. Add to that the complex roles and expectations placed upon a pastor and his spouse, and this novel stands out from the pack as unique. Maura Sullivan arrives in Granger, Ohio with the intention to claim her inheritance and quickly high-tail it out of town, hopefully before running into her estranged husband, Nick Shepherd. But fate, or perhaps God in the form of an eccentric old lady, has other plans. Maura finds her husband headed to the same meeting and discovers their departed friend, Miss Hattie, has carefully devised her will to force them into one last chance at love. While Maura still has the option to run away, she finds the offer to good to refuse. She had hoped the inheritance would give her a new start at life, and decides to give Nick one last chance. She can handle a few months with her husband for the reward dangled before her. Nick longs to reconcile, but Maura has hardened her defenses against him. She was too hurt by him and his church members last time around. Besides, she has a secret she knows they can never overcome. In her mind, saving their marriage is not an option. She will live with him only for the specified time, and then move into her own apartment over the theatre. Maura faces many challenges reacquainting herself with the town, renovating her rundown theatre, and being forced to deal with her husband and his congregation once again. This book kept me turning pages right until the emotional ending. I was captivated to discover that Maura’s inheritance was in fact an old theatre. I loved watching the transformation of the quaint building, as well as the inclusion of drama and the theatre world in this story. The theatre also served to demonstrate how each of us must serve God in our own unique roles and gifts. Maura may have failed as a pastor’s wife the first time around, but once released into her own calling, she was able to view the situation from a different perspective. I enjoyed the way Jen depicted this second time around at love. Maura and Nick did not fall into the same traps. This time they faced the situation with a new level of wisdom and maturity that all of us need when dealing with the complicated subject of romance. This book is not only an enjoyable read, it is an important book as well. Each of us should take time to ponder the roles of our pastor’s and their spouses. We should give a moment to consider how we can better understand and support them. I applaud Jen for shedding light on this significant subject. As a child, Jennifer AlLee lived above a mortuary in the heart of Hollywood, California, which may explain her unique outlook on life. Her publishing credits include a contemporary romance novel, The Love of His Brother (November 2007) as well as skits, activity pages, and over one hundred contributions to the popular My Devotions series. 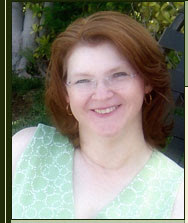 She’s an active member of American Christian Fiction Writers and serves as the Nevada Area Coordinator. Jennifer resides in the grace-filled city of Las Vegas with her husband and teenage son. We love you Jen! God bless you as you continue to serve him through your writing. Please leave questions and comments for Jen today. Do you have any thoughts on the role of a pastor's wife. What is your calling? Are you functioning in your calling or stuck in a role that doesn't fit? 7:00 AM and no one is here yet? I've been up since 3:30. Get up, you have work to do. It's Saturday, you can't sleep late. You've got books to read, breakfast to make, words to edit, snow to shovel! Nice job on the book review. It is a beautiful cover isn't it? I have to get my hands on one soon and see what all the fuss is about. May God bless this book, to touch all the someones who could use the encouragement, and bless Jen as she works on the next one! Deb - I was actually online and writing when you came on today. As soon as I saw your name, I wanted to rush over here and get in before you but didn't want to ruin it for ya. Heh. The more I see and hear about this book the more I want to read it. Good job on the review, Dina. It drew me right in. I'm glad we took this week to send Jen off in style. Yay! Jen! I'm so excited about your book and I can't wait to read it. Yay, yay! Um, Deb...excuse me...you don't know how right you are about having work to do! I had to get up early on Saturday and I'm on my way to work. :-( I really wanted to spend my day writing, and maybe make another trip to Barnes and Noble...but I must work. As for that calling, Dina, I do think I finally have a job that I fit into. I've been taking classes and training one day a week for a year. My classes aren't done yet, they'll go on for at least another year, but on Monday I get to officially start my new job as a cancer registrar. And I do feel called to this. I'm not a doctor or a nurse, but my job does aid in cancer research and helping doctors determine how to treat the cancer. So I'll be proud to do this new job. My other calling, I believe, is writing. So I feel doubly blessed to have the opportunity to do both. It's snowing in Va. Beach!!! Deb, I did get up at 7:45, but then spent the next hours hunting snow clothes, playing outside with the kids, then making hot chocolate and cleaning up. Snow in Virginia Beach is like a national holiday, even better since it only comes every few years!!!! Okay, too excited about the snow, but I'm excited about Jen's book too. I hope you all get out there and buy it and support Jen. I'll stop back later and talk more about callings. Suzie, so happy that you're coming into yours. Aha! Snow in Virginia Beach! I looked at a live cam of Hatteras Island, but I guess that's too far out in the ocean for snow? Karen Lange - Stick around, we'll be glad to bug you for a week each time one of us releases a book! Hi Karen K -nice to see you popping in today. Wishing you all things wonderful as your new release hit's the shelves. Can't wait to hear what you're working on next. Have you shared that yet? Dina, I bow in awe of your reviewing abilities. As to thoughts about my role as a pastor's wife... oooh. Too many thoughts to put in a comment. Let's just say the past 11-1/2 years have been a virtual roller coaster ride, and just when I think we're slowing down and coming back in, the thing takes off again! The thing I think I loved most about Jen's book was the way she gently reminded the reader that the pastor's wife is MORE than the pastor's wife, that she's still a daughter of God, still uniquely gifted and called into her own role and place in the body of Christ. She just happens to be married to the pastor! I'm joining the party late today because I had to run a bunch of errands this morning. One of them was actually book related... I'm speaking at a Valentine Tea on the 9th, and I want to make goody bags for all the ladies. I found adorable cello bags at the Dollar Tree. 25 bags for just a buck. What a deal! Thanks so much to all of you for your support of me and this book. It's truly more than I ever could have imagined. Jill, you asked what I'm working on next. As of this moment, I am uncontracted. However, I have a completed manuscript that is looking for a home. Vinnie's Diner is paranormal women's fiction, so it's a bit different than TPW. But I also have several other projects in different stages of completion: The Mother Road which is straight women's fiction; Come Together, a futuristic medical thriller; and Eureka!, a historical romance I'm co-writing with the enormously talented Lisa Richardson. Obviously, I can't take my own advice about finding a genre and sticking with it! Okay ladies, I'm going to answer my own question about callings now. I've always felt like my primary callings were to the arts and to teaching. I like to use my creativity as a way to minister to others. Writing certainly fits this bill, and that is what I'm focusing on for the time being, but I'm open to other possibilities as well. How about the rest of you. Well, this book is definitely going to be on the top of my "Books To Buy" list! It sounds wonderful and I would love to read about a pastor's wife's journey as she learns to embrace her unique gifts and talents. I've been a pastor's wife for 25 years now and while it can be frustrating, it definitely is a blessing. We are like everyone else and walk our own faith journeys (valleys and mountain tops) but we just happen to be married to the Preacher (who has his own valleys and mountain tops). Congratulations are the release of your book! This was a great review! Hey everybody! Hoe you're enjoying your weekend, snowy or sunny. Excellent review, Dina. You do such a great job at writing reviews (I note with envy). And what a way to end the week of Jen! I've loved celebrating Jen and her new book, can't wait to see bookshelves stocked with TPW. Niki, we've been pastor's wives for about the same amount of time. I didn't know that. You know, it's important for pastor's wives (and pastors) to also remember that they're whole people, gifted by God to build up the Body in ways that are not necessarily restricted to her church. Used for Him, our love for drama, dance, art, writing, letter writing (encouragement! ), teaching, etc. bring Him glory and edify others. Regardless of our talents, if we hide our gifts under a bushel, we're making the wrong choice, for ourselves and the Body as a whole. That's so true Susanne. If we do something that seems right, but that we're not called to, we actually end up doing a wrong thing. Dina, no awards for that! Maybe jewels in my crown. :) Actually, if there is any awards to give, my grandmothers would have gotten one. Both were preacher's wives for about 50 years each! Amazing, isn't it?